So, you’ve got your cruise booked and you’re looking forward to a week of complete relaxation, when it suddenly hits you: I’m going to miss the ruddy World Cup! There’s no reason to demand the ship turn around, however, my short-minded friend, as thanks to the increased satellite capabilities of most cruise lines, you can now catch the beautiful game at sea. Indeed, Princess Cruises announced this week that they will be showing all 64 games of the 2018 FIFA World Cup on nine of its ships. The line will broadcast every minute of the action, from the opening match on June 14 to the final in Moscow on July 15. Games will air on Princess’ giant ‘Movies Under the Stars’ top-deck LED screens, which have space for hundreds of guests to watch the action. But Princess are not the only cruise line looking forward to the summer of football ahead of us. 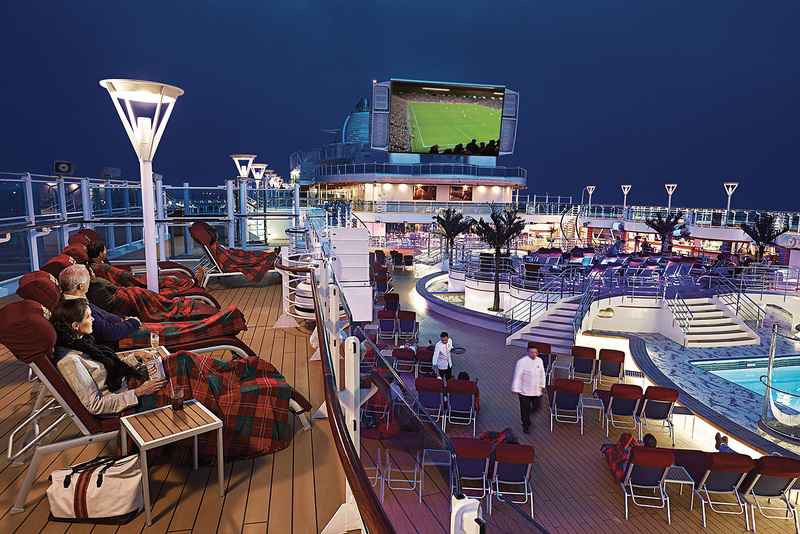 Royal Caribbean will also be showing all the matches from their Playmaker’s Bar on board selected ships. And Norwegian Cruise Line is getting in on the act as well thanks to their partnership with Sports 24, meaning they can show every single game of the World Cup straight to your cabin. Why it’s almost enough to make you consider never leaving your cabin. Of course, if you are on a cruise over the next four weeks, then it pays to check with your line to see if you’ll be able to watch the big game. But when it comes to the England football team and the inevitable disappointment that surrounds them, perhaps you’re better off forgetting about it and just enjoying your cruise.